A mesh is defined by its number of vertices, edges and faces, a sequence of point coordinates, a sequence of egdes and a sequence of faces. The sequence of point coordinates is given as a sequence of coordinnates x_i, y_i, z_i. An edge is described by its number of vertices and the sequence of indices of its vertices. A face is described by its number of vertices and the loop of indices of its vertices. 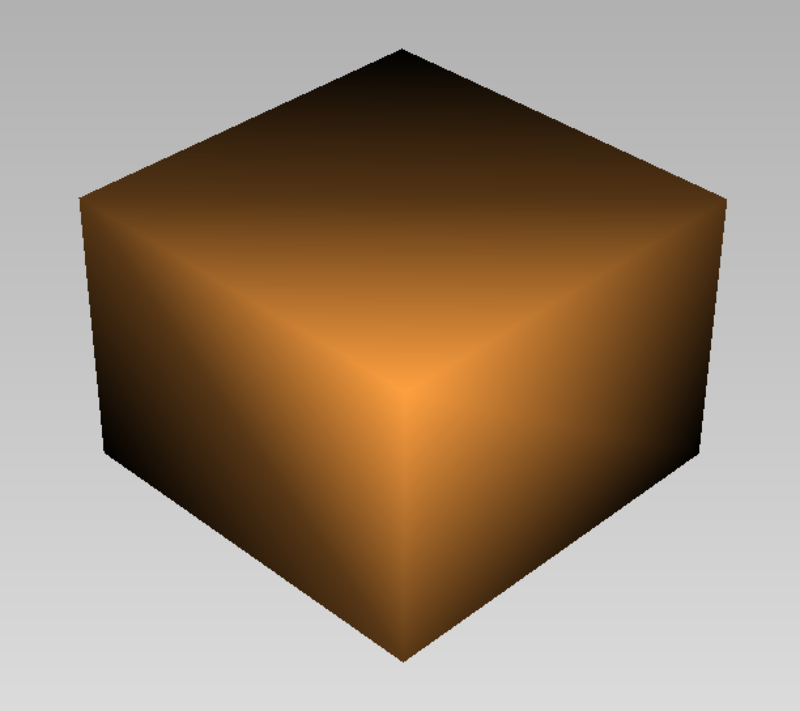 This example describes a mesh with 4 vertices, 1 edge and 4 faces. The egde is connecting the vertices of indices 0, 1, 2, 3. The faces are 4 triangles which are connecting 3 vertices among the 4. 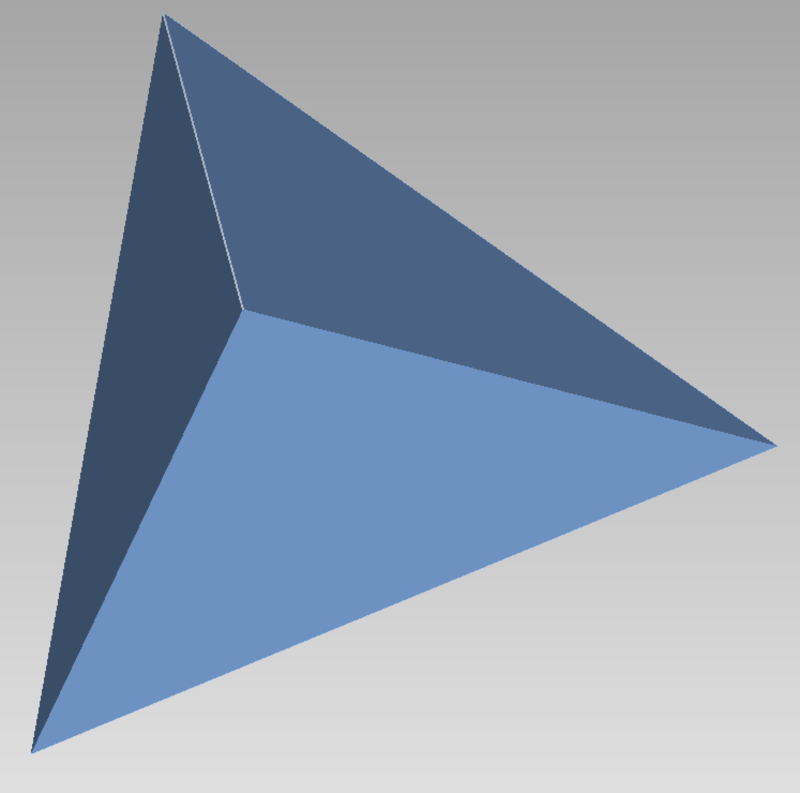 This mesh corresponds to a tetrahedron with an edge containing 4 triangle sides marked on it. The normals are used to interpolate the colors and provides a smoother rendering, when the mode Use Normals is set on and the choosen interpolation mode is Gouraud or Phong. 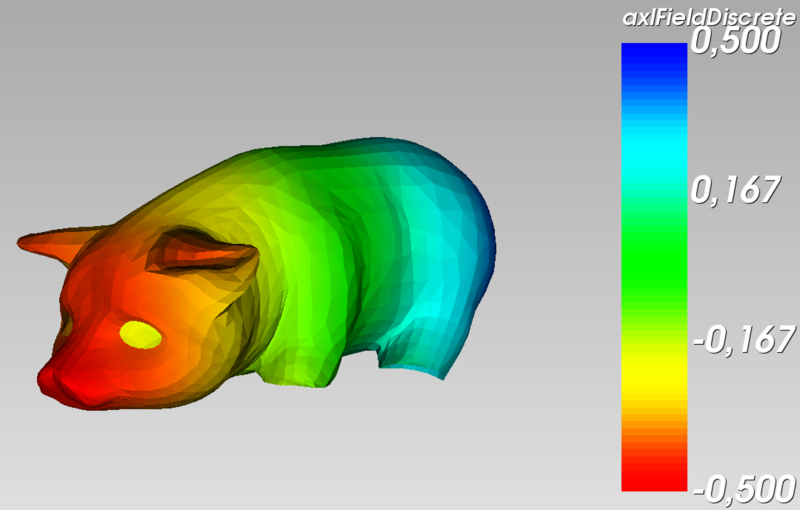 A field value can also be attached to a point of the mesh. 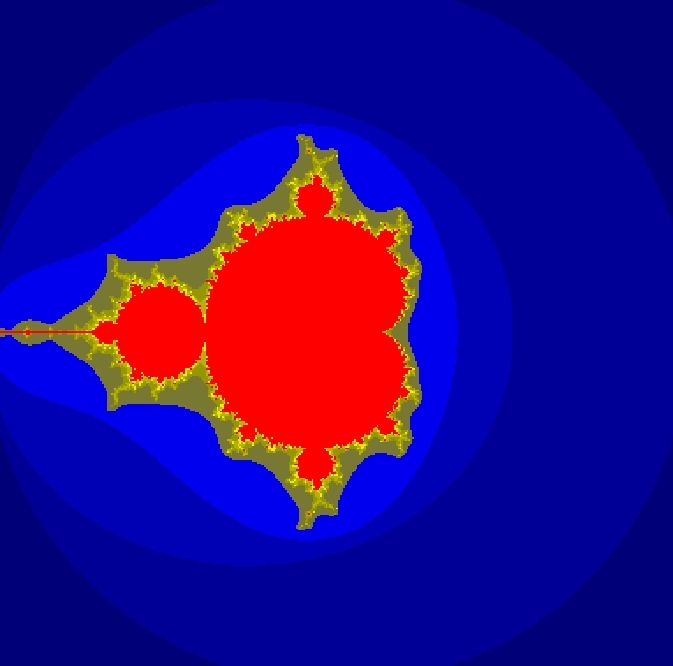 It will be displayed by a colormap in the case of a one-dimensional field or by arrows for a 2-dimensional field.